Application for admission to the hostel shall be made in the prescribed form to the Principal, the warden of the hostel. Every student on admission to the hostel shall Pay Rs. 50/- as admission fee, Rs. 25/- as warden fund, Rs. 3/- as Hostel Literary Union Fee, Rs. 75/- as Hostel Day Contribution, Rs. 2000/- as Caution Deposit, Rs. 750/- as water, light and establishment charges and Rs. 1000/- as Room Rent per semester. If the required number of students are admitted in the Hostel, the mess will be run on dividing system. The monthly mess charges will be about Rs. 1200/- to 2000/-. Both the vegetarian and non-vegetarian meals are provided. Every student admitted to the hostel must scrupulously abide by the rules of the hostel. Separate hostel is available for Boys and Girls. Students who do not live with their parents or guardians during term-time shall reside in the College Hostel or in approved hostels with the consent of the Principal. The Principal shall be the Warden of the Hostel. He will be assisted by a Deputy Warden. A student seeking admission to the hostel shall apply in the prescribed form along with his/her application for admission to the college. 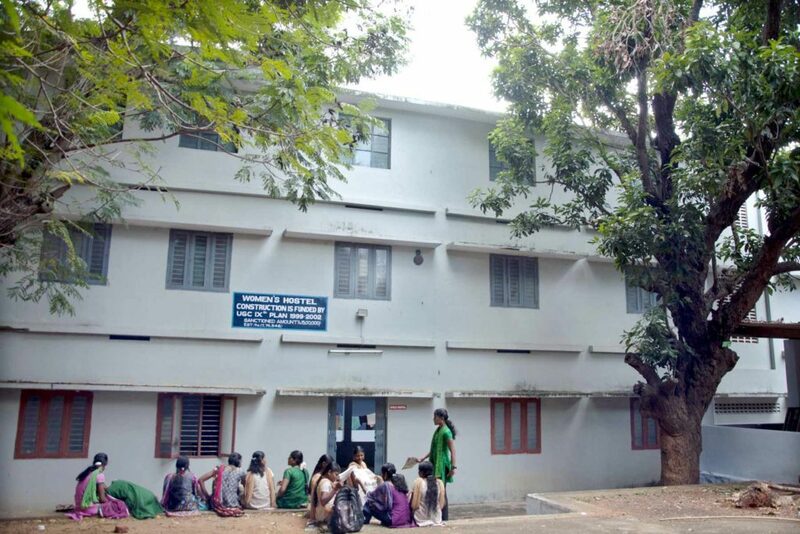 Before seeking admission to the hostel, students are advised to satisfy themselves about the facilities available in the hostel. They cannot clamour for additional facilities after obtaining admission. Admission will be made by the Warden on the merits of each application. Details regarding hostel charges, mess and code of discipline can be ascertained from the Deputy Warden.